There is a grisly murder in your neighborhood. You stand outside with your neighbors and watch, or maybe you peek out your curtains. Hours pass, then days, maybe years. Then one day there is a knock at your door and the police take you in for questioning. Do you remember what happened? Do you have an alibi? Can you take countless hours of interrogation without breaking? This can happen to you. And it happens to more people than you think. Stories from The Fixer to The Shawshank Redemption have for decades catered to audiences' grim fascination with wrongful imprisonment-one's worst nightmare come to life. In Stolen Years, the stories are true. The ten former inmates profiled here fended off the blackest despair so they could keep fighting for freedom. Once out, they faced a new struggle: getting back to living after losing so many years behind bars. 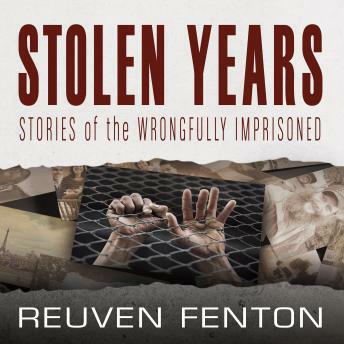 Intense, startling, and utterly compelling, Stolen Years will take listeners into the lives of the jailed innocent.